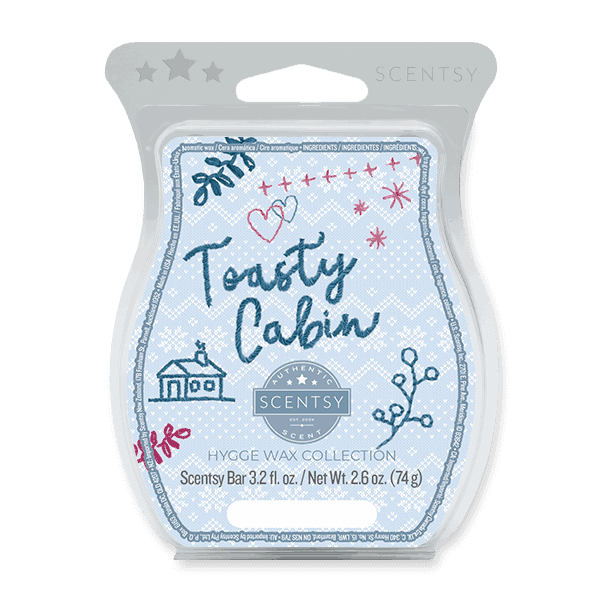 Scentsy Toasty Cabin Scent bar – Bergamot zest, black pepper, wild fern and acacia wood create the perfect place to hide away. 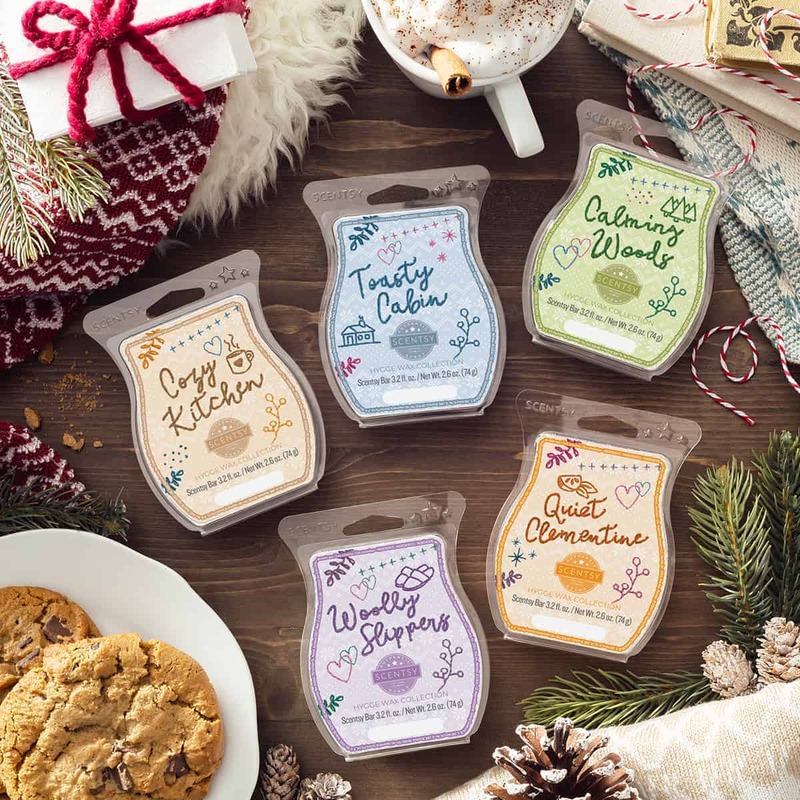 Scentsy Hygge Wax Collection – Toasty Cabin- Snow falls outside. You’re curled up with a chunky blanket in a toasty cabin. Welcome to the holidays, and to our new seasonal collection: five Scentsy Bar fragrances inspired by the Danish concept of comfort, sold together, separately or in a bundle while supplies last.